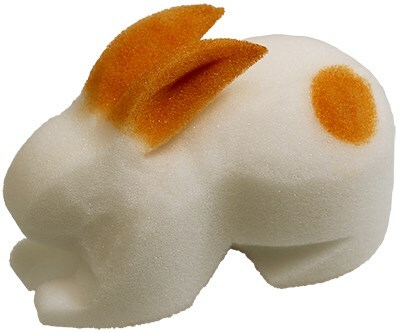 The best looking sponge rabbits available, Magic by Gosh's 3-D Rabbits are perfect for the classic multiplying rabbit routine. White in color with brown ears and spots. Community questions about 3D Rabbit 6.5"